fabulous motherhood: Great deal for LeapReader & LeapReader Junior Bundle Promo! Great deal for LeapReader & LeapReader Junior Bundle Promo! 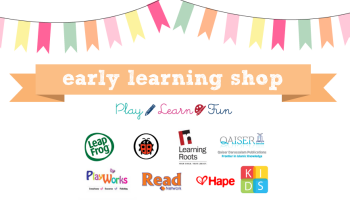 Currently we are running super duper promo at our insta shop (@earlylearningshopmy). This superb deal for Leapfrog Reading System is a must grab one! Interested to purchase, kindly fill up this form. We will send detail payment method in 24 hours time. Promo ends by 6th Dec 2013. Email us at fabulousmotherhood@yahoo.com for more info.